We were in Shangrila when my husband was babbling about buying a Michael Kors bag. I said, “Ummm… I don’t know. 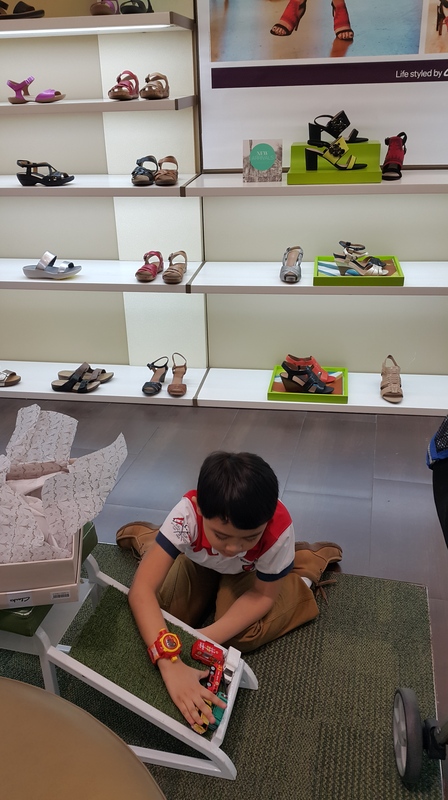 I feel like buying shoes instead.” After a few hours, we saw Clarks and the different photos of ladies wearing their shoes. I got curious. I went inside and this lady, Richelle, assisted me. It is quite impressive on how she assisted me when I was just wearing sandals and I look odd already. No offense but when you shop in Shangri-la and looked poor, it’s automatic that they will either ignore or intimidate you. Back in Clarks : She made me try a lot of their shoes and she assisted me very well. I was actually grateful to her because I was introduced to Clarks, finally. 😍 Unfortunately, I need to leave and stop shoe fitting. She still smiled at me with a certainty that I’ll go back. Well, I didn’t! 😂 I went back to another branch after a week. Unfortunately, I was surprised on how hot it was inside the Megamall branch. We were really uncomfortable. I was thinking, “Who would buy expensive shoes while being tortured inside the store?” I saw people come and then go in a matter of seconds. I even found out that their stocks are different from Shangrila’s… and so I left. The saleslady for sure understands that I won’t go back. 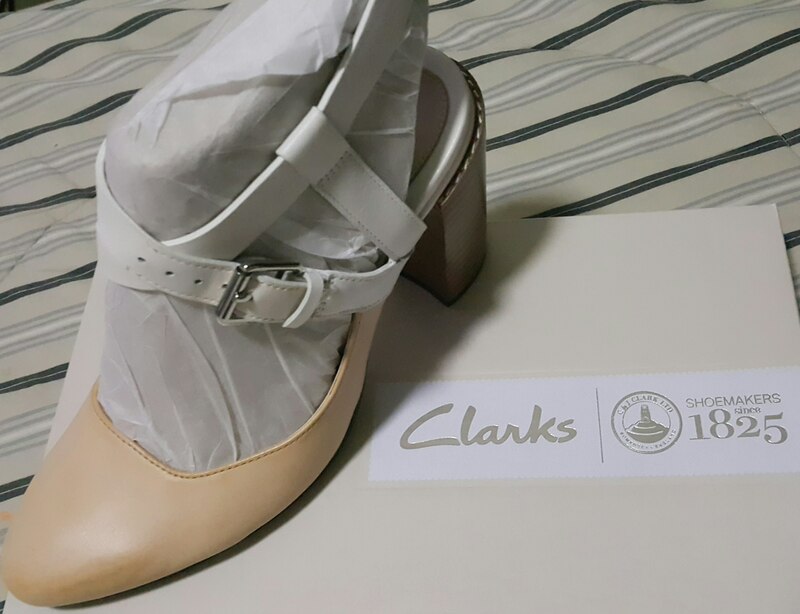 With my husband’s determination and spoiling ability, he was able to persuade me to go back to Clarks. I called and asked Richelle to reserve the shoes I want in my size. I read some reviews from Clarks‘ Facebook page that there are a lot of complaints about their kids’ shoes so I didn’t buy them any. My other boy was just playing around. They’re so behave when I shop. That’s just one of the best things about them. So now let’s see their shoes. Here are some samples of the shoes you’ll find there. I believe these discounted shoes are from last year’s stocks. They have mirrors on each sides which make their store look even bigger. I was choosing between 2 shoes but I ended up buying both. Well, what my husband wants, he gets and what he thinks I like, he gives. 😚 Side Note : I love you ga! Her name is Richelle. Look for her whenever you need assistance in Clarks Shangri-la. She’s now in Megamall. 1. Its pad has a technology that will make your feet feel comfortable. I’m a big lady. This is a very important factor for me. 2. My shoes are made from real calf leather. You can even smell the leather once you wear it. Even their straps are leather made. The sole is hard that you can use this to hit someone. 😅 But it’s light that you’ll forget you’re wearing heels. 4. The designs are unique and just perfect for my skin tone. Aside from comfort, the ability to complement your skin color is also a plus. 5. The shoes have a padding and sticks that will keep them in form and the straps in place. Ha! I’m in looooove. 😍 Side Note : Their shoes need a leather cleaner once it gets dirty. Yes I enjoyed my shoes from Clarks. I already wore the peach shoes and I loooove it. 3. If a certain service is unavailable, be honest and tell your customer the truth. 4. Room temperature is important when you shop especially for shoes, bags and clothes. 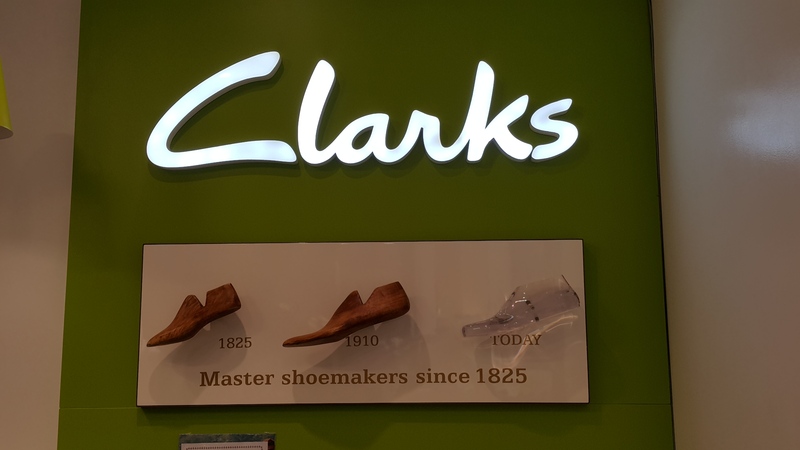 Clarks is a high-end brand. Customers deserve a decent aircon.